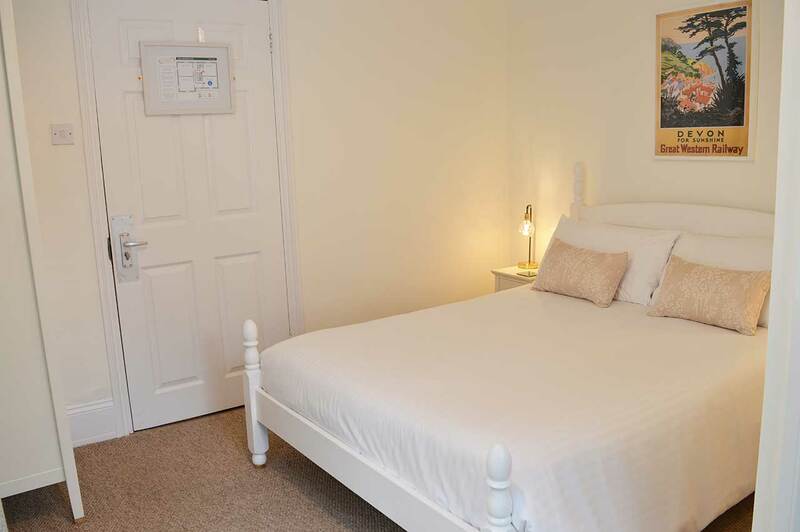 Bedroom Four is a first floor, double en-suite bedroom with dual aspect views across Watersmeet Road, and up the East Lyn river valley. 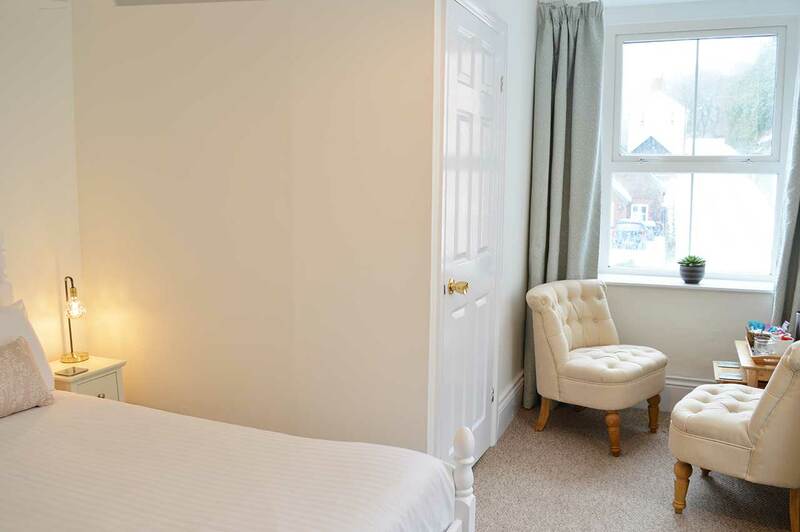 It has a traditional wooden bedstead with soft linen, pillows and cushions, slimline wardrobe, luxurious blackout curtains and relaxing slipper chairs. Sit back and enjoy the sounds of the river with a local cup of tea or coffee. 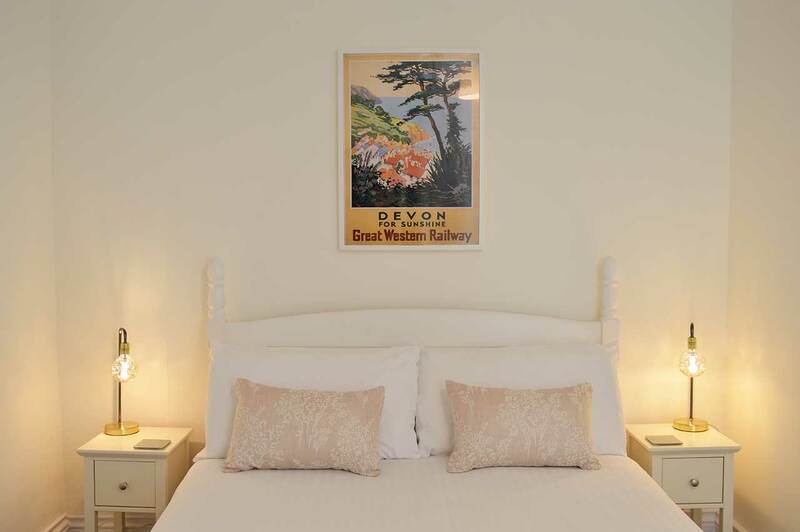 Newly decorated in beautiful neutral colours and with low windows, it offers pretty views up the river and valley. 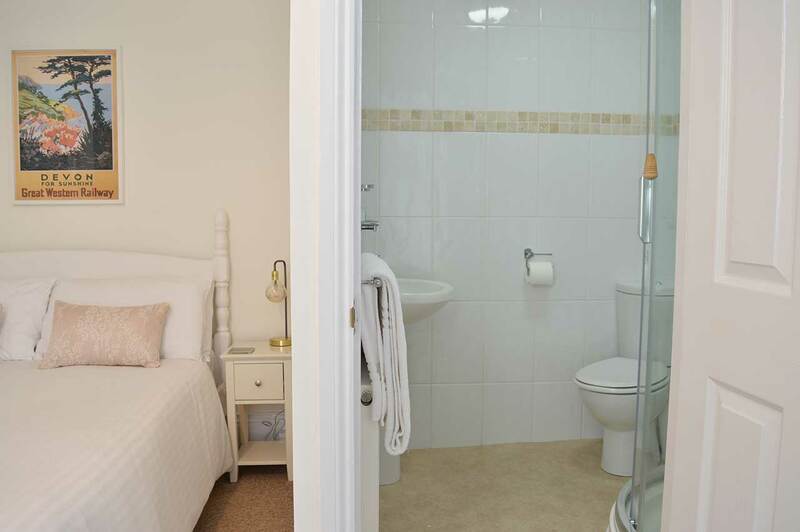 The en-suite comprises of a shower room with wash hand basin, toilet, mirror and large fluffy bath towels. Revitalise and restore yourself each morning with our Crabtree and Evelyn ‘La Source’ hand soap, shampoo, conditioner and body wash.
To book your stay with us, please contact us on 01598 752540, or alternatively you can book online direct using the button below.